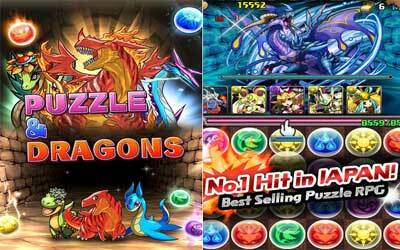 Previous version Puzzle & Dragons 11.0.1 apk for Android will help you to downgrade or install older app easily. This is one of the best Puzzle apps. In this game, you will find over 700 kinds of monsters. Well, you need to beat all of it to get the highest score. In other hand, to increase the skill, you need to apply the power up and evolve. You will have the new adventure inside this game! Before downloading this game, it will be great for you to know the additional information of it. Here, this game will be available for the 2.3 or up android OS version. You need to check the version of your android device. In other hand, this game has 44M in size. You also need to pay attention with the free internal storage. You need to be happy because this game with all its upgrade features is free! Based on the explanation above, the Puzzle & Dragons for Android can be the alternative game for you. This game has the 4.3 score in gaming rating. The high rating shows it is kind of the special game for you. Then, visit the play store to download it! I have not been playing to long, but I already love this game. There are always new monsters to collect or evolve.